Could it possibly be the case that Kenny G is now hipper than Prince? "The internet's completely over. I don't see why I should give my new music to iTunes or anyone else. They won't pay me an advance for it and then they get angry when they can't get it.... Anyway, all these computers and digital gadgets are no good. They just fill your head with numbers and that can't be good for you." Kenny G says if the Internet is dead "then I must be dead, too, 'cause I use it all the time." He adds with a laugh: "Maybe I've got a sixth sense, and I only see dead people. I don't know." 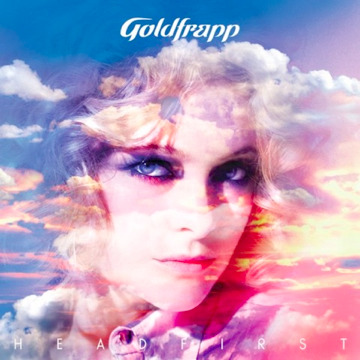 If you want to see where the musical zeitgeist was 18 months ago, look at what Goldfrapp are doing. Pop-cultural cool-hunters par excellence, they mine the rich seams of the underground, find trends with legs and repackage them for mainstream consumption, exploding them into the public consciousness, and have successfully held this niche in the music-industry ecosystem for over a decade. Their début, Felt Mountain, took Morricone-infused trip-hop sounds and moulded them into what became the soundtrack to every upper-middle-class dinner party in the UK. After that, they turned on a dime, discovering electroclash and dragging it into the mainstream in the form of not one but two albums of mildly sexualised glam-electro, before getting wind of the wickerfolk trend and new appreciation of the output of the BBC Radiophonic Workshop, fishing it out of the underground and presenting it to the world as Seventh Tree (an album even whose title seems to have been a homage to underground freak-folk band Voice Of The Seven Woods). Which makes one wonder what Goldfrapp were going to do next. I was thinking afrobeat or similar exotica. But no, it looks like their next album is going to be Empire Of The Sun-style glo-fi. The only problem with that is, of course, that Empire Of The Sun were themselves a project (a supergroup comprised of two musicians from successful major-label projects) repackaging trends from the underground (essentially Cut Copy-style indie-house with the somewhat dated New Wave/New Orderisms replaced with the recent "yacht rock" fad) for the mainstream, and to considerable mainstream attention. It remains to be seen whether or not they have scooped Goldfrapp by getting in first, or whether Goldfrapp will pull it off for a fifth time. Electroclash went from Next Big Thing to Last Little Fad within a year. But it didn't go away, it just slipped on to the noughties pop-cult backburner, biding its time as a staple sound in hipster clubs. By mid-decade the "clash" was long gone; people just talked about "electro". This was confusing for those of us who'd been around in the actual 1980s and for whom "electro" meant something specific: that Roland 808 bass-bumping sound purveyed by Afrika Bambaataa and Man Parrish, music for bodypopping and the electric boogaloo. In the noughties, electro came to refer to something much more vague: basically, any form of danceable electronic pop that sounded deliberately dated, that avoided the infinite sound-morphing capacities of digital technology (ie the programs and platforms that underpinned most post-rave dance) and opted instead for a restricted palette of thin synth tones and inflexible drum machine beats. "Electro" meant yesterday's futurism today. As such Discovery anticipated a quite different uptake of 1980s pop that would occur in the second half of the noughties: the ecstatically blurry and irradiated style of indie that's been dubbed "glo-fi". Compare Bangalter's remark with glow-fi godfather Ariel Pink, who says his pop sensibility comes from watching MTV incessantly from the age of five onwards (ie only a couple of years after the channel was launched in 1981). Pink went so far as to describe MTV as "my babysitter". As a result, on the many recordings he's issued under the name Ariel Pink's Haunted Graffiti – two of which, Worn Copy and The Doldrums, are among my favorites of the decade – his reverb-hazy neo-psychedelic sound is haunted by the friendly ghosts of Hall & Oates, Men Without Hats, It's Immaterial, Blue Oyster Cult, Rick Springfield. It's an approach to songwriting and melody he assimilated as an ears-wide-open child. Another 1980s-invoking hallmark of the new sub-underground is its cult of the cassette. Tape has a double association here. On the mass level, it was the 1980s quintessential format: far more than the CD, it was the way most kids would have owned music. But cassettes were also the preferred means of dissemination for underground 1980s scenes like industrial and noise. Tape was the ultimate in do-it-yourself, because they could be dubbed-on-demand at home, whereas vinyl required a heavier financial outlay. Today's post-noise microscenes like glo-fi maintain the tape trade tradition, releasing music in small-run editions as low as 30 copies and wrapping them in surreal photocopy-collage artwork. As someone who lived through the 1980s – it was the first decade I was pop-conscious and alert all the way through, from start to finish – it's enjoyably disorienting to observe all these distortions and retroactive manglings of the period, from the vocoder fetish to the fact that I really don't recall terms like "Italo disco" or "minimal synth" having any currency whatsoever back in the day. But what's also interesting is how much of the era has yet to be rediscovered or recycled: the Membranes/Bogshed style shambling bands, the Redskins-style soulcialists, goth, Waterboys/Big Country-style Big Music, and a half-dozen other scenes and genres. But hey, it's 2010, the first year of the new decade, which means that – according to the 20-year rule of revivals – we really need to get started on the 1990s. It looks like there's a lot left in the 1980s to revive, though time is running out as the inevitability of 1990s retro looms. (Aside: back in the actual 1990s, I wondered what "1990s retro" will be like; I imagined a Hegelian synthesis of cheesy commercial dance (Technotronic and such) and grunge-influenced three-chord alternative-rock. It'll be interesting to see how close I was.) As such, I wonder whether they'll manage to get it all out, or whether parts of it will be left behind to be subsumed into the anxious echo, and forever lost to everyone except for wilful obscurantists. And if the latter, I wonder what the fitness function will be. Also, while we're on Simon Reynolds' articles, here is an interesting one about the decline of "indie" into the morass of crap guitar bands and the simultaneous rise of interesting music from the awkwardly ineffable we'd-call-it-"indie"-only-that-now-means-lad-rock sector.